Landing Pages.. they’re supposed to be simple right? We build them, we launch them, we (hopefully!) get an uplift in sales as a result and then we pull them down at some point. Easy? The reality is that although the design process is typically straight forward, it’s the management and measurement part that gets messy. What happens in most cases today is that a separate design team or agency builds the pages, throws the pages up onto a hosting service, and any changes are pushed back and forth via email forcing the design / developer team to pop open the code for each change. With the launch of the latest iPhone 5 and its larger screen size, I’ve created a new Adobe CQ5 emulator that allows Content Authors / Producers to preview how their content is displayed. If you haven’t seen the Mobile Emulators in CQ5 before, the intent is to show the author how content will look on different devices, using groups such as Feature Phone, Smart Phone, Touch Phone etc. You can create your own groups and then use the device detection capabilities to route a device to the content optimized for the device capabilities. Two of the best features of Adobe CQ5 are a) the extensibility of the architecture, and b) the great user experience for content producers / authors. A great example of the two coming together is the new package for CQ5, which integrates the video streaming platform Ooyala into CQ5. Adobe & Ooyala partner Siteworx were able to easily create a reusable integration package to allow anyone with both CQ5 and Ooyala to combine the two quite easily. If you are installing Adobe CQ5, you’ll love the fact that FFmpeg integration is supported out of the box. The bad news is that due to licensing restrictions Adobe does not bundle FFmpeg with the standard CQ installation. Another issue is that the “standard” FFmpeg build does not include support for H264 which is useful for video playback on iOS devices etc. Given that I had to repeat the installation process recently after reinstalling my MacBook AIR with Mountain Lion, I took some notes compiled from a few different sites into one quick cheat sheet. Note that this will take at least an hour to complete due to the need to download and compile a bunch of stuff. With the July / August 2012 release of Adobe CQ Cloud Manager, CQ in the “Cloud” has arrived in APAC. What is CQ Cloud Manager? If you are new to these terms, Adobe CQ Cloud Manager is a management interface to ease the commissioning of Cloud instances of Adobe CQ5 on the cloud infrastructure of your choice. The current supported providers include Amazon EC2 and Rackspace, and it is EC2 that has a presence in Singapore that I’ve been using. Within a few minutes I can configure a full production ready installation of CQ5, and have it ready for use in less than an hour. The team over at Cognified, Adobe Solutions Partner with many CQ5 projects under their belt, have taken advantage of the extensibility of CQ and integrated it with OpenCalais. 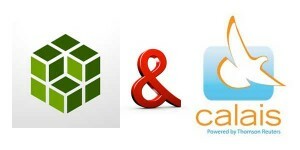 OpenCalais extends CQ5’s built in tagging & SEO support by automatically analyzing submitted text and generating rich semantic metadata, part of which are entities that can be used for content tagging. OpenCalais uses many techniques to generate this metadata including natural language processing and machine learning. The toolkit can find entities like people, places, organizations, technical terms and many, many others.